Font is one of the most basic foundational part of a interface design system. In order to implement a good font system, the first thing is to choose an appropriate font family. Ant Design prefers the system default font family and then also provides a set of alternative font libraries to maintain readability for screens on different platforms and browsers and to make sure it's always user friendly, stable and professional to end user. In addition, in a lot of applications, numbers often need to be displayed vertically. We set the CSS property font-variant-numeric to tabular-nums; to use tabular figures. We have updated Ant Design's base font size from the original 12 to 14 to ensure the best user reading efficiency on most common monitors based on display screen reading distance (50 cm) and optimal reading angle (0.3). The font scale and line height determine the beauty of the dynamics and order of a font system. Font scale refers to a series of font with different sizes. Line height can be understood as an invisible box wrapped outside the font. Ant Design was inspired by the pentatonic scale and natural law to define 10 different font sizes and corresponding line heights. In Ant Design's visual system, our recommended base font size is 14, and its corresponding line height is 22. The choice of the rest of the font scale can be freely defined according to the specific circumstances. It is recommended that in a design system (except for display pages), the choice of font scale should be controlled within 3 to 5 types, and the principle of restraint should be maintained. 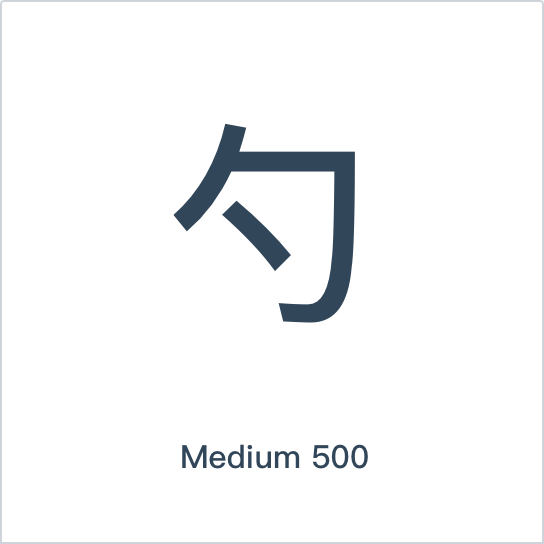 The choice of font weight is also based on the principles of order, stability, and restraint. In most cases, just regular(400) and medium(500) should be enough. 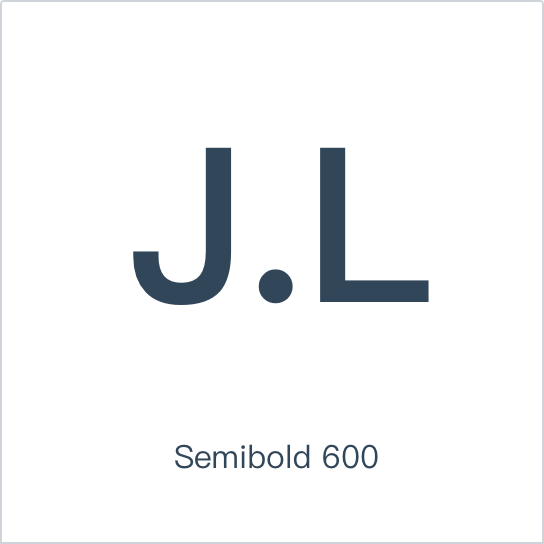 In the case of bold English words, semibold(600) could be used. Text will be difficult to read if it is too close to the background color. To achieve barrier-free design, we follow the WCAG standard, which maintains an AAA level of contrast ratio, i.e. 7:1 or more between body text, title, and background color. Establish a systematic design thinking: In the UI design of the same system, a systematic design thinking should be first established. The primary, secondary, auxiliary, title, display, and other types of fonts are planned in a unified manner. And then make any necessary fine tuning according to the specific situation. The establishment of a systematic design approach helps to increase the consistency of horizontal font landing, improve the cost-effectiveness of font uses, and avoid unnecessary style waste. Less is more：Visual design should be achieved with as few styles as possible. 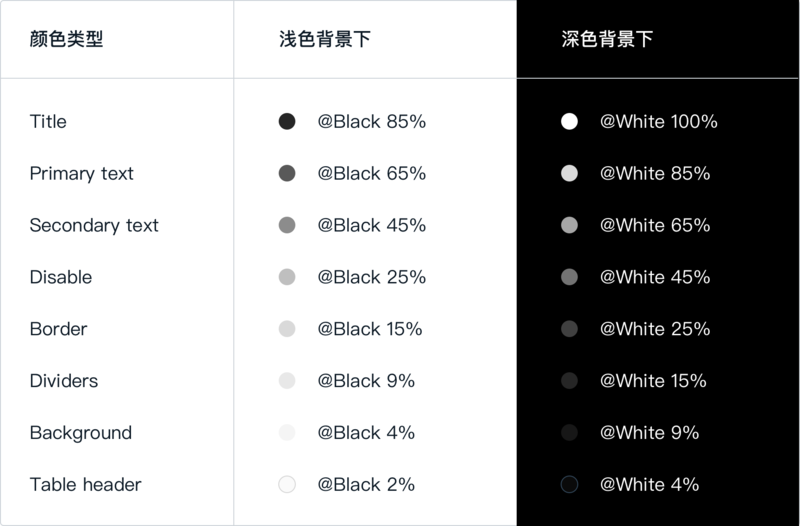 Avoid meaningless use of large numbers of font scales, colors, and font weight to emphasize visual or contrast relationships. Try to make font scale dance like a note When you need to expand any gap, you can try to choose the size of the font to jump in the font scale table, which will create a subtle rhythm between the word scales.